Whether buying an apartment or selling a villa, leasing corporate office space or renting a warehouse, our experts make it their business to understand your needs and help you find the right property. Get expert advice for residential, commercial or industrial property, grounded in our experience and knowledge of local, regional and international markets. 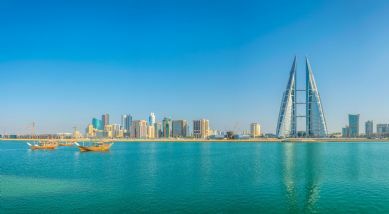 Savills has partnered with Trowers & Hamlins to produce a guide to investing in the property market in Bahrain. Savills Middle East was established over 40 years ago and is one of the world's leading property agents. Our experience and expertise spans the globe, with 600 offices across the Americas, Europe, Asia Pacific, Africa and the Middle East. 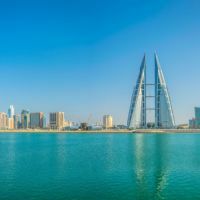 Savills Middle East has partnered with Trowers & Hamlins to produce a guide to investing in the property market in Bahrain. Insight & Opinion is our hub for residential, commercial and industrial articles and research from experts offering industry-leading advice and analysis. Up-to-the-minute news from our Press teams providing the latest developments within Savills Middle East and the wider international Savills business. Whether you’re looking to buy, sell, let or rent, our residential specialists are with you every step of the way, ensuring a smooth process and helpful communication at every stage. Our advice is always honest and clear. Through each negotiation, we share our expertise and resources with all parties, answering questions and liaising with solicitors from start to finish. Our specialist residential teams can help too, with in-depth experience in a range of locations and submarkets, from palaces and penthouses, to waterfront property and new developments. Residential property transactions are the most significant any of us ever undertake. But whether you’re buying an apartment, villa or waterfront property, Savills team of experienced brokerage agents can guide you through process. Whether you’re looking to let your home, invest in a buy-to-let property, are a landlord with a large portfolio or just looking for advice, our lettings experts are here to help you understand the whole lettings process from start to finish. If you’re looking to rent a home, we can help you not only find a property but also to guide you through every step of your journey. From start to finish we’ll explain the process, along with our fees and associated charges. Whether an individual, a whole family or a corporate tenant, our team of experts are here to help you find the right home for your needs. Every mortgage lender, fund manager, investor, pension fund and housing association wants to make the most of their residential property assets. Our role is to make this possible by extracting maximum value. 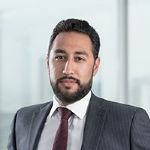 Our team of capital markets professionals advise clients looking to invest in residential, student, multifamily and senior-living property in the UK, Europe and the Middle East. We have led the development of the latter sectors and are now the acknowledged experts in the field. We deliver advice, consultancy and management across all types of residential property for a client base encompassing institutions, developers, investors and high net worth individuals. Our dedicated residential valuation team of over 20 registered valuers, with local specialism covering all major centres across the Middle East. We know that there’s much more to selling a property than recommending an asking pricing and marketing it to buyers. We guide you every step of the way, from advising on how best to present your home for viewings, to negotiating the sale and liaising with solicitors. Whether you're planning to sell, rent or are undecided, we'll ensure a smooth process at every stage.